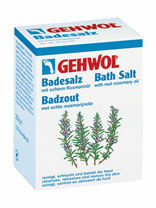 Gehwol bag. Height: 22cm x Width 17cm Depth: 7cm. 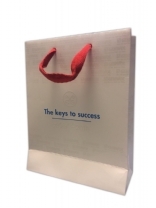 One side has slogan " The keys to success". The other side in german " Die Schlussel des Erfolgs". 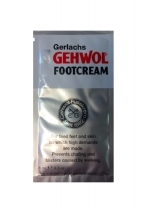 Gehwol Extra stimulates the circulation and protects against cold and wet feet as well as protects against sore feet, foot odour, calluses, sores and blisters, and makes dry and rough skin smooth. 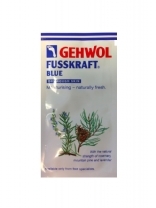 Naturally fresh GEHWOL FUSSKRAFT BLUE contains well-tried antiseptics for the prevention of athletes foot and itching between the toes. 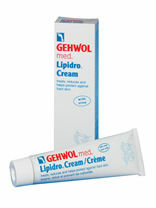 Suitable for diabetics & dermatologically tested. 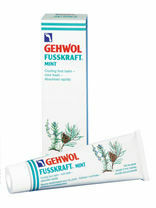 Gehwol Fusskraft Mint combines the revitalising icy freshness of a cooling mint lotion composed of an Asian medicinal plant oil with the gentle caring effect of a balm that is immediately absorbed. Dermatologically tested. Also suitable for diabetics. 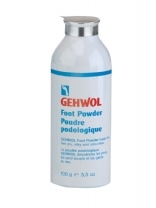 Contains well-tried disinfecting substances for prevention of athletes foot, itching and the formation of blisters between the toes. Dermatologically tested. Also suitable for diabetics. 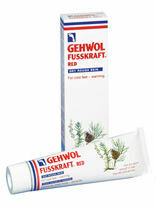 Gehwol Fusskraft Red is a rich emollient cream and a warming balm for dry skin, which gives relief for tired, strained, and sore feet. 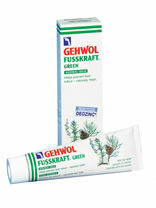 Revitalising camphor, extracts from paprika and ginger, as well as essential oils. 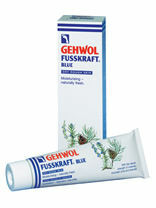 Suitable for diabetics & dermatologically tested. 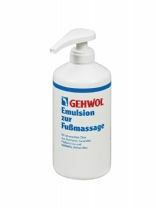 Emulsion for foot massage with essential oils and active ingredients to create a smooth film on the skin, which makes massaging pleasurable. 500ML NOT FOR RESALE. 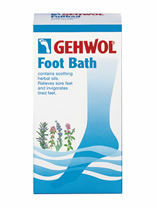 Gehwol foot bath with balsamic herbal oils which alleviates aching feet, revitalises tired feet and eliminates troublesome soreness. Available in 400g & 10kg. The feet are thoroughly warmed and revitalised. 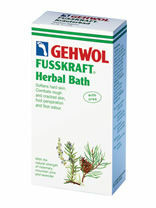 Gehwol bath salt creates a revitalising rosemary bath which cleanses, refreshes, warms, and revitalises the skin with its soothing substances that are deeply absorbed into the pores. 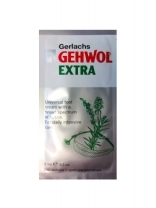 Prevents ingrown toenails and strong cornification. 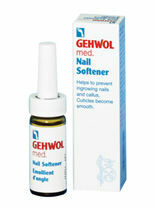 Makes cuticles elastic and the painful pressure of the nail on the nail bed is eliminated. 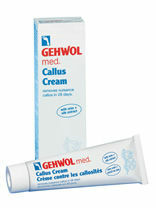 Intensive care for the reduction of callus. Urea strengthened with glycerine and allantoin loosens the cell bond of the hard callus layers. 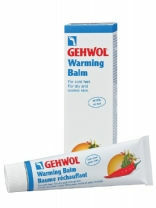 125ML IN GERMAN PACKAGING! AVAILABLE IN 75ML & 125ML. Suitable for diabetics. Moisturising hand cream with aloe vera, urea and jojoba oil. 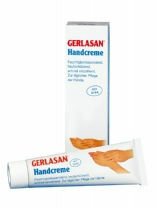 For daily hand care. Consists of a special combination of ingredients including aloe vera, jojoba oil, tapioca starch and urea for intensive care and protection of overstrained hands. Available in 75ml & 500ml. 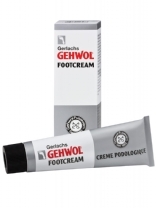 GEHWOL med Deodorant foot cream with its pleasant odour combines the highly concentrated active substance extract of Manuka oil with micronised zinc oxide to remove strong foot odour for at least 24 hours in a nourishing cream base with jojoba oil and aloe vera. 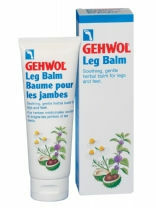 Pleasantly soothing medicinal herb balm for legs and feet.GEHWOL Leg Balm makes skin beautiful, smooth and supple when used regularly. 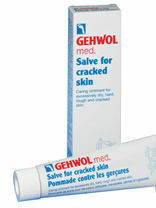 Dry skin, skin blemishes, discolouration, infections of the foot and premature skin ageing are prevented. 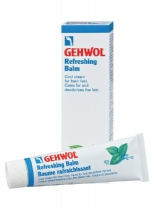 Available in 125ml & 500ml with diepenser. 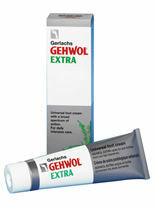 Gehwol substances contains well-tried antiseptics for the prevention of athletes foot and itching between the toes. Perspiration is normalised and the decomposition of sweat is prevented. 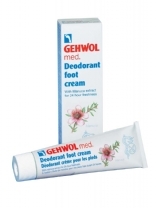 The power of nature in the form natural essential oils that have revitalising camphor and cooling menthol, immediately soothe sore and aching feet. The feet are strengthened. Natural and skin-friendly fatty substances, such as lanolin for example, provide the necessary care for dry and rough skin and help to restore the skins elasticity, smoothness, and suppleness.